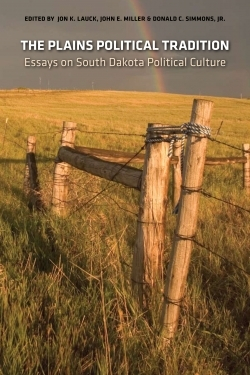 South Dakota’s unique political culture is examined in this collection of twelve scholarly essays that address the state’s sociopolitical dynamics. Editors Jon K. Lauck, John E. Miller and Donald C. Simmons, Jr. have all written extensively about the state. This book contextualizes the particulars of South Dakota’s political history and informs readers about the broader story of American democracy. The events, traditions, and movements within the borders of this state since its 1889 establishment broaden the popular view of South Dakota as staunchly conservative and Republican. In these essays, South Dakota is revealed as a place where populist politics, left-wing liberalism, and Indian activism have all been deployed for political gain. Lauck identifies three “political subcultures” within the state and discusses the politically dominant “East River” area—still overshadowed by its Anglo-American Republican roots. John Miller explores the state’s history of political platforms, dividing them into seven eras that meticulously describe the phenomenon of “punctuated equilibria” within the state. William Pratt ferrets out a colorful history of radicalism evinced in such primary source material as archival documents, newspapers, and interviews. Subsequent essays explore the role of immigrants, women, literature, the Cold War, environmentalism, American Indian activism, and rural vs. urban interests. In the final piece, Jon Schaff analyzes several recent US congressional elections, wherein South Dakotans demonstrated their favor of local, self-government by voting out four incumbent senators who were perceived as aligned too closely with national interests.